A family-oriented weekend of living history, family activities, tours and talks around St Peter Port. 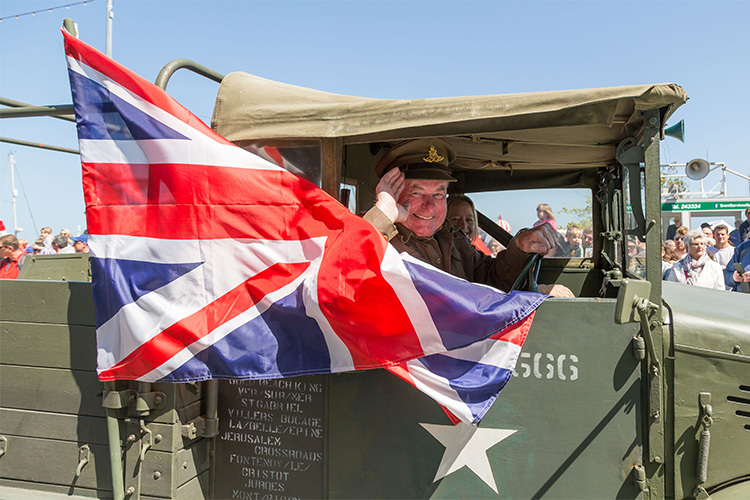 In 2019, Guernsey’s three-week celebration of its heritage and history will follow the theme of “Evolution and Revolution” and focus on “Guernsey encounters through the ages”. 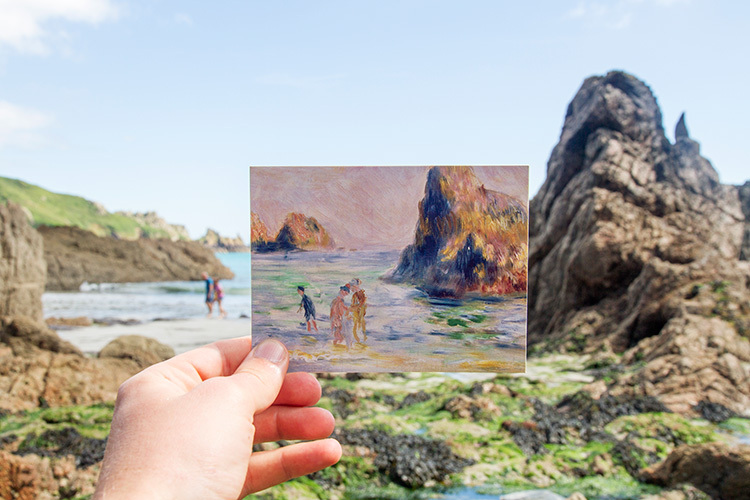 Whether your interest lies in the Bailiwick’s ancient Neolithic burial sites and forts, the comparatively recent German Occupation during WWII, or some of our island’s famous residents of old (such as Franch novelist and poet Victor Hugo or visiting artist Pierre Auguste Renoir), there will be a wide range of events for you to enjoy. 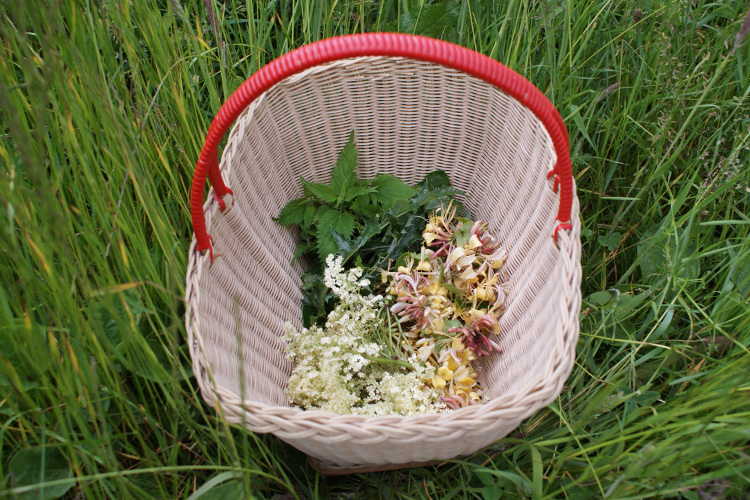 Head out on a foraging adventure around St Martins with Luke Wheadon of Wheadon’s Gin and the Bella’s Head Chef Patricio Filipe, followed by a 30-minute gin tasting session and a delicious 3-course meal. Tickets for the event cost £55 per person. Growing in size and popularity each year, 2019’s Guernsey Literary Festival is sizing up to be another not-to-be-missed event. This year’s speakers are yet to be announced, but 2018 saw the likes of Sir Terry Waite, Annie Barrows (The Guernsey Literary and Potato Peel Pie Society), folk icon Peggy Seeger, the BBC’s Evan Davis, Gary Younge and Patrick Barkham (both bestselling authors and journalists with The Guardian), Katie Piper, June Sarpong and poet Murray Lachlan Young travel to Guernsey to speak and we are excited to find out how the organisers are going to top last year’s incredible line-up! The culmination of each year’s Heritage Festival is Liberation Day on May 9th; our island’s annual celebration commemorating the date in 1945 when the German occupation ended and we regained our freedom. Events include services of remembrance, historic vehicle processions and parades and music and entertainment in a celebration of liberty. 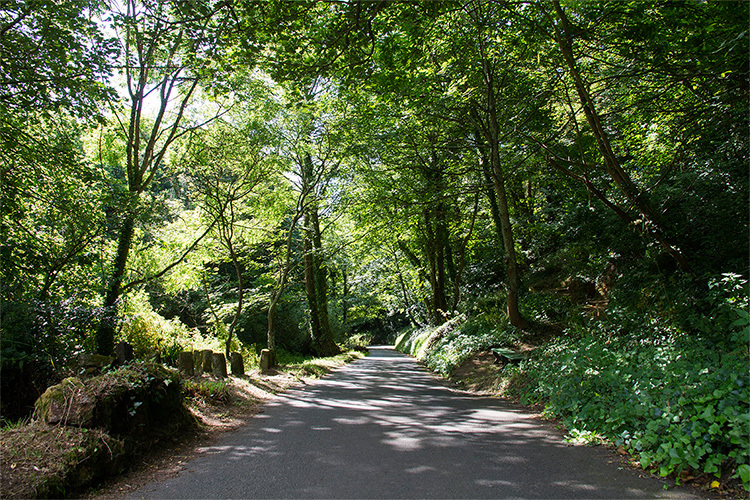 Guernsey is a walker’s paradise, with a huge variety of routes and terrains to enjoy. You can enjoy walking in Guernsey at any time of year, but during the annual spring and autumn festivals there is an amazing itinerary of special themed and guided walks that you can join, ranging from town tours and strolls around historic sites to longer distance rambles. Guernsey is well and truly in bloom in June, and the Floral Festival celebrates this with a number of open garden events. This is the only official around-the-island walk, open to both individuals and relay teams. With a coastline of 39 miles, this is no stroll in the park (we would normally recommend walking a lap of Guernsey’s coastpath over the course of three or four days!) but is an incredible and well supported challenge. With all that walking, you’ll need a stiff gin and a comfy bed at the end of the day – that’s where we step in! 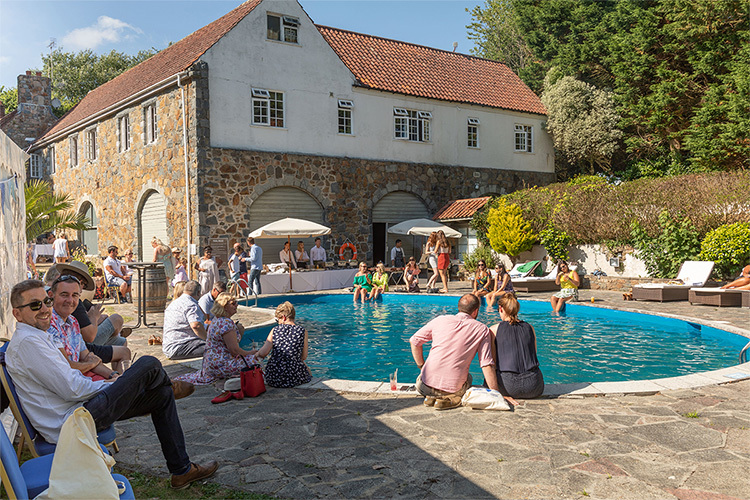 Fast becoming a favourite fixture in the calendar, Guernsey’s Gin Garden Party will be back this summer for another afternoon of great gins (guaranteed) and glorious sunshine (we hope) in the grounds of the Bella Luce. Showcasing the best of Guernsey’s home-grown gins and a selection of new-to-island or otherwise unavailable brands in a classic garden party setting, tickets sell out fast – please do check back or sign up to the Wheadon’s Gin newsletter to hear developments first. A sell-out event every year thanks to its incredible line-ups (this year’s headliner will be Kate Rusby) and the view and atmosphere afforded by siting a folk festival on a cliff top on our beautiful neighbouring island, if you can get tickets then this is a great weekend to tag on to a visit to Guernsey! Enjoy a weekend of motorsport at British hillclimbing’s equivalent of the Monaco Grand Prix. Racing cars line up along the seafront at St Peter Port before competing against the clock on this challenging hillclimb course that twists and turns up the hill out of town towards St Martins on the (closed!) public road. Sark’s Sheep Racing and Carnival is a great exciuse to hop on the ferry over to our sister island; sheep racing may sound somewhat unusual, but this enormously fun event draws large crowds and makes for a wonderful and memorable day out. Guernsey’s regional shows (the South, West and North shows on the weekends of August 9/10, 14/15 and 21/22 respectively) are great family events celebrating our island’s agricultural, horticultural and craft traditions. The Guernsey Marathon is a popular race allowing runners to enjoy scenic views starting in St. Peter Port before taking runners along many of Guernsey's most picturesque roads and lanes, looping back to town 26 miles, 385 yards later. 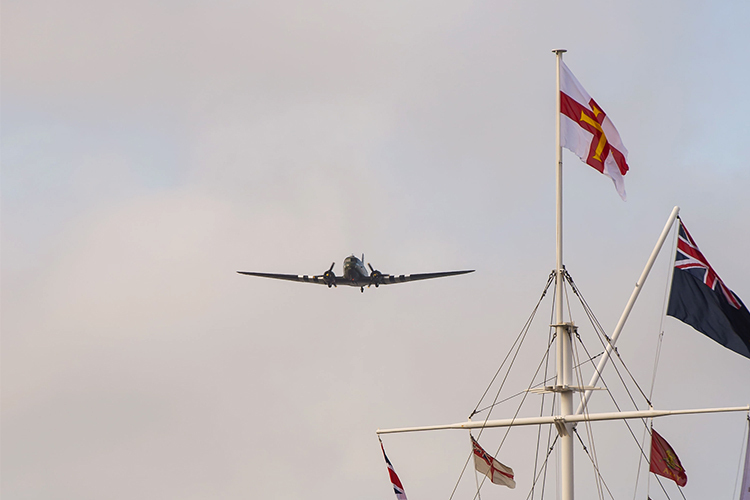 With the majesty and splendour of the Battle of Britain Memorial Flight displaying alongside modern aircraft including kit built planes there is something for everyone to enjoy in the skies above Guernsey this September. Every year, on the Last Night of the Proms, Guernsey enjoys its own celebration with a live outdoor screening, concert of local musicians, and fireworks display over Castle Cornet and St Peter Port Harbour. 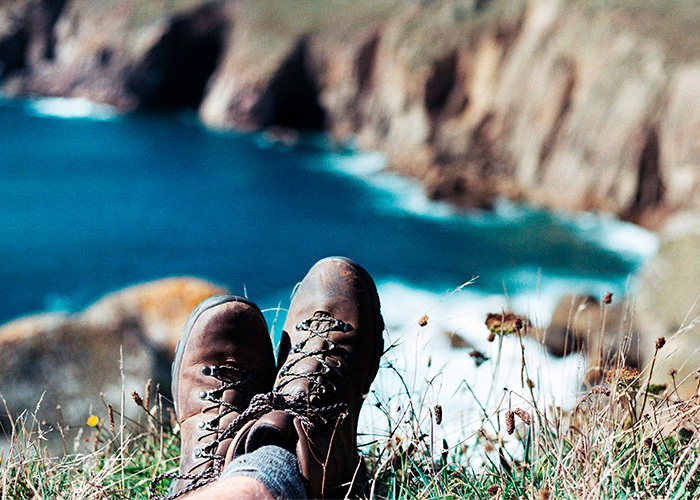 Guernsey’s Autumn Walking Festival features an amazing itinerary of special themed and guided walks that you can join, ranging from town tours and strolls around historic sites to longer distance rambles. 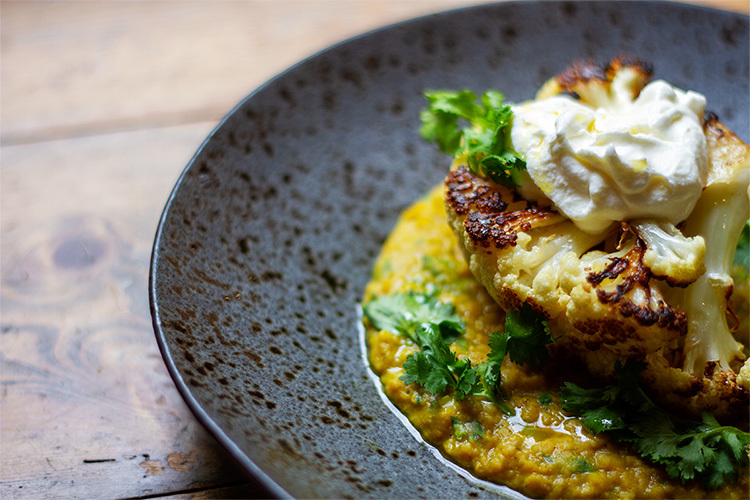 Autumn is a great time to be a food-lover on Guernsey; for six weeks from October 1st, restaurants across the island offer special set-price menus as part of the annual Tennerfest. What began over twenty years ago as a number of restaurants offering set menus for £10 has developed into over 120 establishments offering menus at set price points between £10 and £20, broadening the festival’s offering considerably and allowing islanders and visitors to enjoy the finest food that Guernsey has to offer.